Can you believe it? During the time he was the RCMP’s officer in charge of the Dziekanski cover-up, Superintendent Wayne Rideout was accepting appointment to the ORDER OF MERIT OF THE POLICE FORCES and the right to use post-nominal letters M.O.M. Imagine the pomp and ceremony. Honored guests and media gather in the ballroom of Ottawa’s Rideau Hall. The Governor General arrives, makes her speech and presents the insignia. The national anthem is played and media gathers to interview the honored recipients, some of them true heroes. 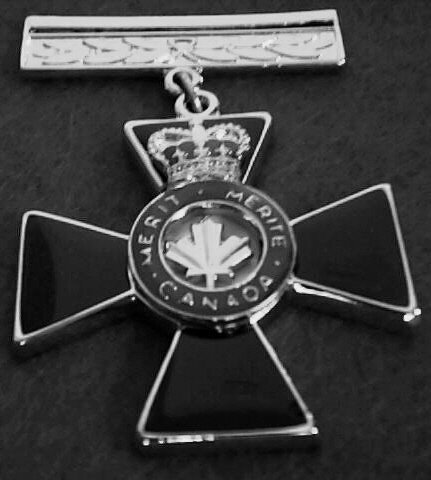 The Order was created in October 2000 to recognize conspicuous merit and exceptional service by members and employees of the Canadian police forces whose contributions extend beyond protection of the community. The commissioner of the RCMP, the principal commander of the Order, submits recommendations for appointment to the governor general. Superintendent Rideout testified May 6 at the Braidwood Inquiry that correcting details police initially gave the media about the incident would have jeopardized any potential criminal investigation by opening up a public debate about what happened. Other RCMP members had testified earlier that no criminal investigation was ever conducted, the incident was reviewed only as an in-custody death. Speaking about the four officers involved in the homicide, Rideout said “We would not want to be caught in a position where we’re defending or rationalizing any of their action.” However, a month after Dziekanski’s death, Rideout authorized a release that claimed the four Mounties had continuously monitored Dziekanski before he died. That was stated despite contrary information from Richmond firefighters, paramedics and other witnesses. Rideout approved self-serving statements of exoneration and commanded his underlings to leave false public information uncorrected. We can safely assume that he and the Commissioner level officers above him prevented and still prevent the force from dealing with this situation honestly and fairly. 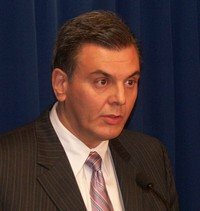 They made the choice to defecate on Dziekanski’s reputation in a failed effort to preserve the force’s public image. In doing so, they also defecated on the Canadian public. Superintendent Wayne Rideout should resign the appointment given him by Governor General Michaëlle Jean. He disgraces the Order of Merit of the Police Forces. Have we already lost net neutrality? “…correcting the record would have put the RCMP in the position of entering into a public debate.” As if the RCMP was not already over its depth in a public debate? As if admitting error is worse than denying it? As if every failure to correct lies is a good & helpful thing? As if lies assist investigation better than truth? As if waiting for outside proof of lies & then admitting them is a proof of integrity? As if the whole affair, from the initial vicious slaughter of Dziekanski down through the lies, concealment & ongoing mulish denial of responsibility have not buried the RCMP under a mountain of corruptly stinking disgrace?